Technological challenges due to the typology and complexity of products to be processed are successfully met through an engineering approach, based upon standard modules, flexibles and easily integrables. Centralized Human Machine Interface allows intuitive and efficient machine control, as well as a smooth communication between the operator, the robots and the upstream and downstream peripherical equipment. The design and conception of this equipment improves access to their functional system as well as greater speed and easy format changeovers. These innovative concepts provide a great flexiblity in the overall management of end-of-line operations, from low to high speed production flows. With our IZIpick range, we achieve the combination of excellence and pricing in the pick and place industry. Our range of robotic solutions is designed to cover 80% of robotic application needs. Standardized and rationalized to reach a competitive budget without compromising on quality and efficiency. SIMPLE > Changeover time in 3 minutes maximum. Just plug and play your new handling module and start! EFFICIENT > Each picking module is dedicated to your product. No adjustement, no time wasting! Make your pick and place solution unique! With our MSG range, you will be able to combine all our different modules to make your robotic solution as unique as your products! 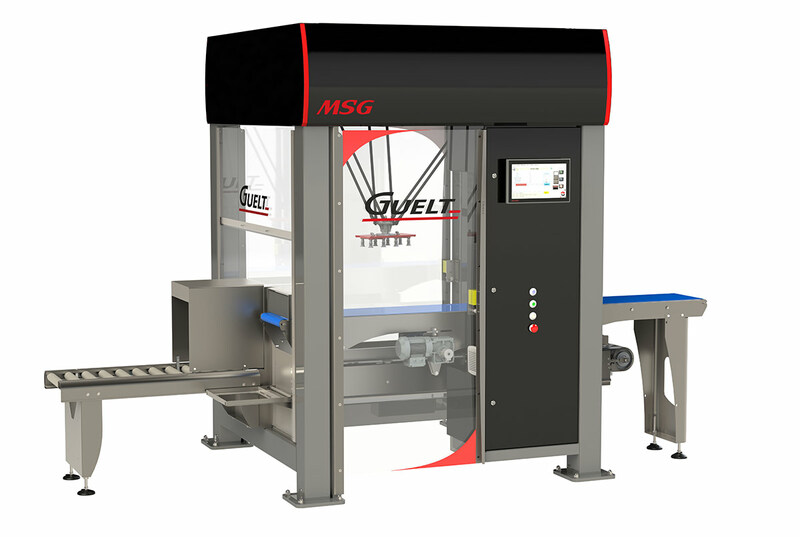 Combining vision, marking, surround conveying, weighing devices…has never been as simple as with the MSG. SIMPLE > Custom made solution does not mean complex! Combining modules together has never been as simple as playing with toy bricks! Cardboard is not the limit! Through our partnership with Méca-Système, we have achieved the most advanced case packing solution. 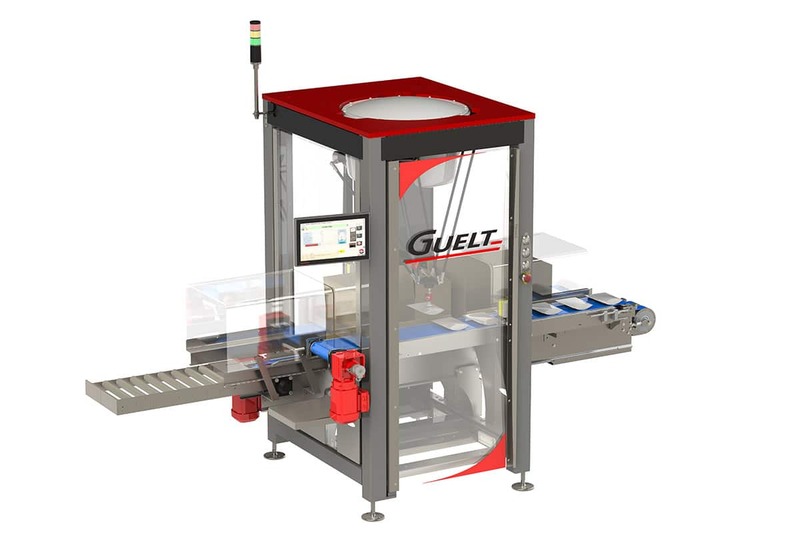 In a very small footprint we have combined the expertise of Méca-Système and Guelt to provide a unique solution to the market. With the MSG you can add any module to fulfill all your needs. COMPACT > As a single in-line module, the footprint is limited to the function. No waste of space! USER-FRIENDLY > The walk-in construction of the machine make it even easier to use everyday.